So Cute! 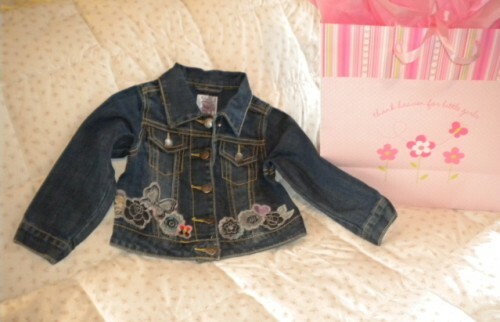 Dark Denim Jeans Jacket accented with flowers at the waist! 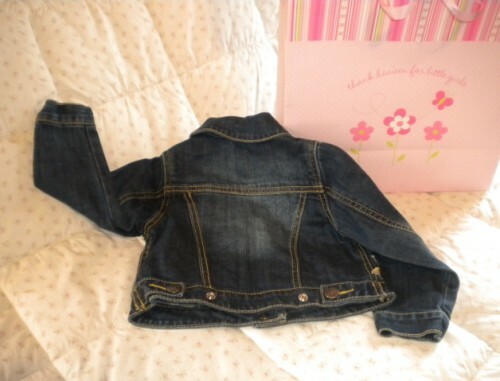 Snap front, snap cuffs and snap pockets (look like buttons)! Adjustable waist.